Yoga Guru Ramdev on Tuesday said that India would have bagged one more gold medal in 2016 Olympics if Indian wrestler Sushil Kumar had not been stopped from participating in the international sporting event. The freestyle wrestler was not allowed to participate in the 2016 Rio Olympics after the Delhi High Court dismissed his plea for a trial to decide on a berth in the 74kg category. 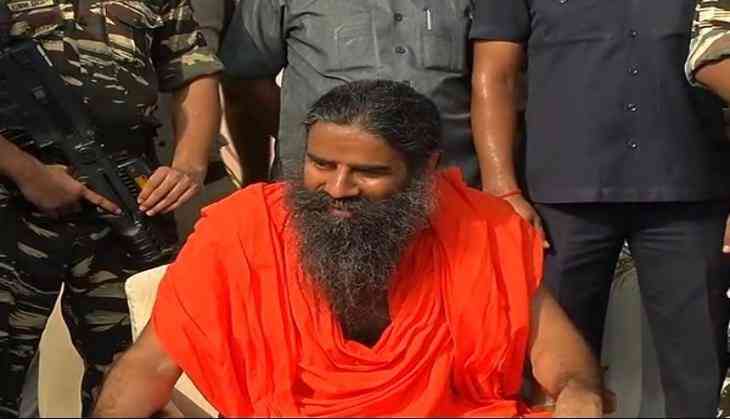 Ramdev, who met the two-time Olympic medallist here after he bagged a gold medal in 2018 Gold Coast Commonwealth Games (CWG), heaped praise on his victory. "We are all proud of Sushil. Both Sumit and he have made India proud at the Commonwealth Games. I urge the youth to take inspiration from them. Had he (Sushil Kumar) not been stopped from participating in Olympics, India would have bagged one more gold medal there," Ramdev said. The wrestler also thanked people and Ramdev, while saying that he won the medal because of their blessings. "I hope the best wishes and blessings of all Indians stay with me so that I keep performing like this. I want to keep playing and winning for India. It's all because of the blessing of the people and Swami ji," he said. Speaking about the 2016 Rio Olympic, he said, "I've already forgotten the matter (Olympic 2016) and moved ahead, had this not been the case I couldn't have won this medal." Sushil, played in his third consecutive CWG final, hammering his South African opponent, Johannes Botha, 10-0 in the finals of the men's freestyle 74 kg category at the Carrara Sports Arena to clinch his third consecutive CWG gold. Ramdev also met Sumit Malik, who also clinched a gold medal in the 125 kg category event at the CWG. The wrestling contingent of India returned home with a 100 percent medal return, with all 12 members winning a medal each Down Under, including five gold, three silver and four bronze medals.